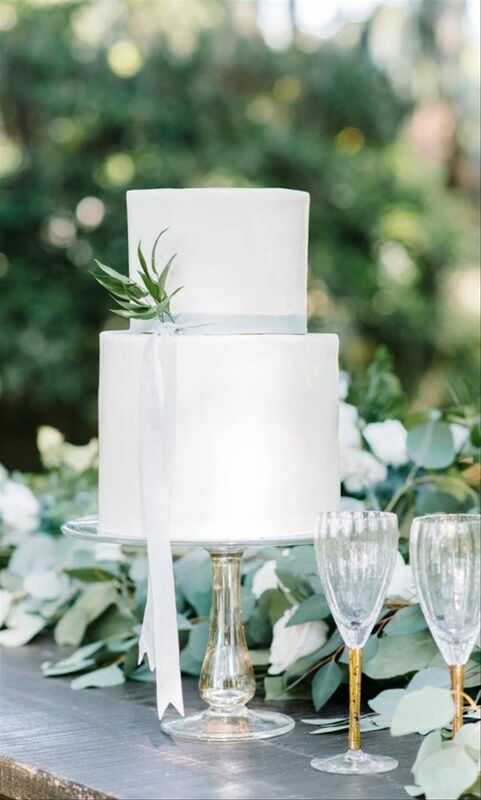 Along with being one of the most anticipated aspects of your reception, your wedding cake is an extension of your decor and should reflect your personality. Choosing the wedding cake flavor is a challenge all its own, but more importantly, you’ll need to decide how you want your cake to look. Not sure where to begin? Turn to your zodiac sign! 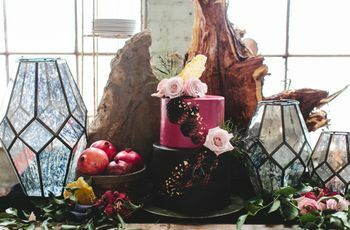 Whether you’re a die-hard believer in astrology or simply want to know all of your cake options before making a final decision, considering the traits of your sign can help you get started. 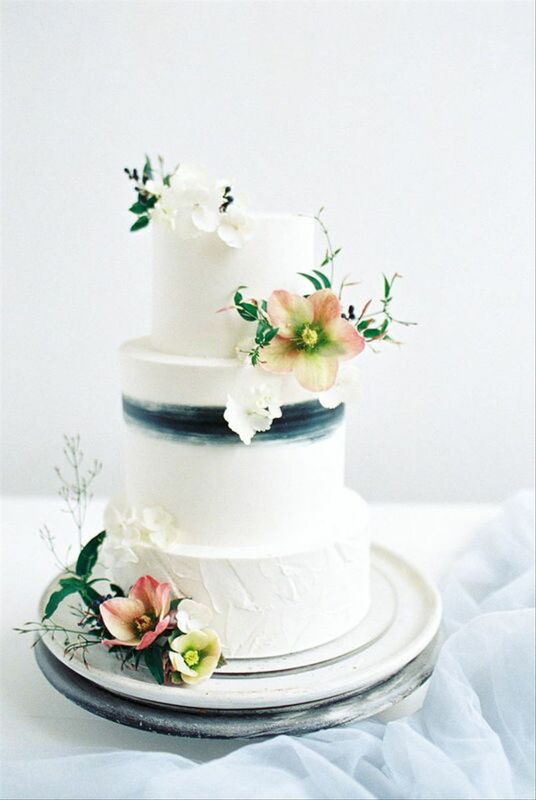 To complement your spunky Aries personality, we love this four-tier fondant cake complete with watercolor flower petals and 3D accents. The cake itself is energetic, cheerful and bold, just like you! You like to be practical, Taurus, but that doesn’t necessarily mean you want to sacrifice style to do it. 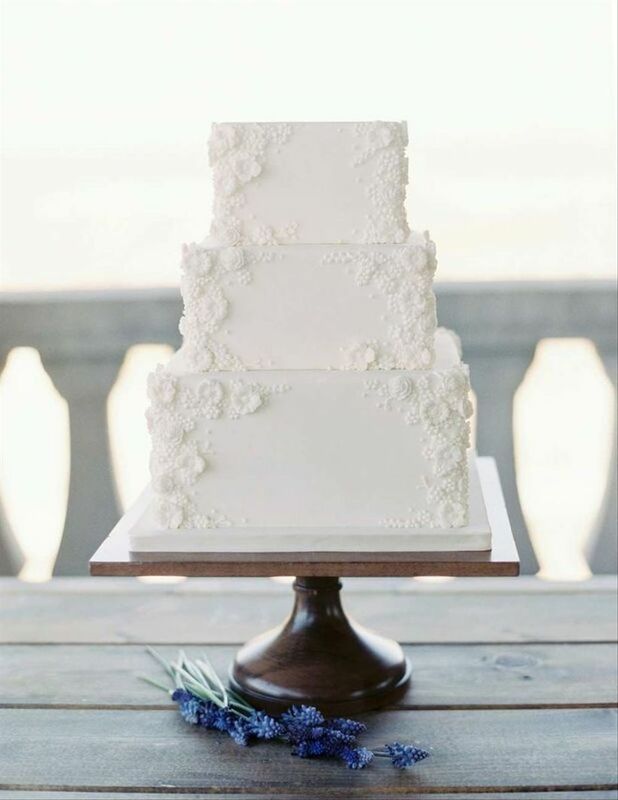 For your wedding cake, skip the fondant and opt for a naked buttercream cake instead. 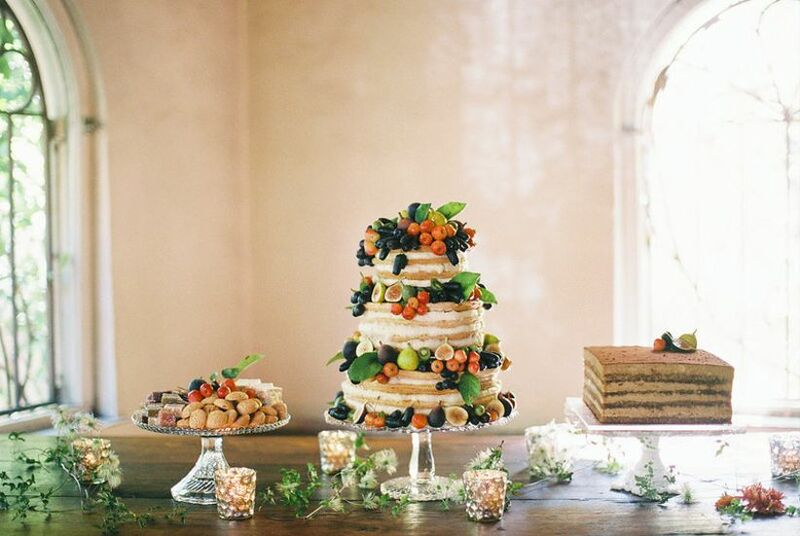 Embellish each tier with fresh fruit that’s decorative but can also be added to each serving once the cake is cut. Hello, multi-functionality! As a Gemini, you’re known for being rational, imaginative, serious, inquisitive, and enthusiastic — often all at once. 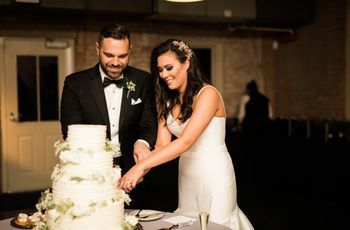 You need a wedding cake to match your ever-changing personality, and one that combines many design elements into a single creation fits the bill. 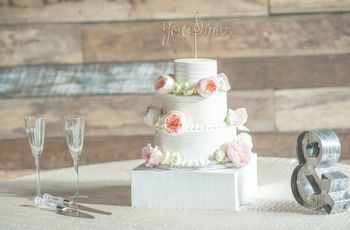 Opt for a multi-tiered cake with different details on each tier, such as sponge-painted accents, semi-naked frosting, and basic fondant. An elaborate gold branch on the front provides the wow factor you secretly love. Love is your claim to fame, Cancer! 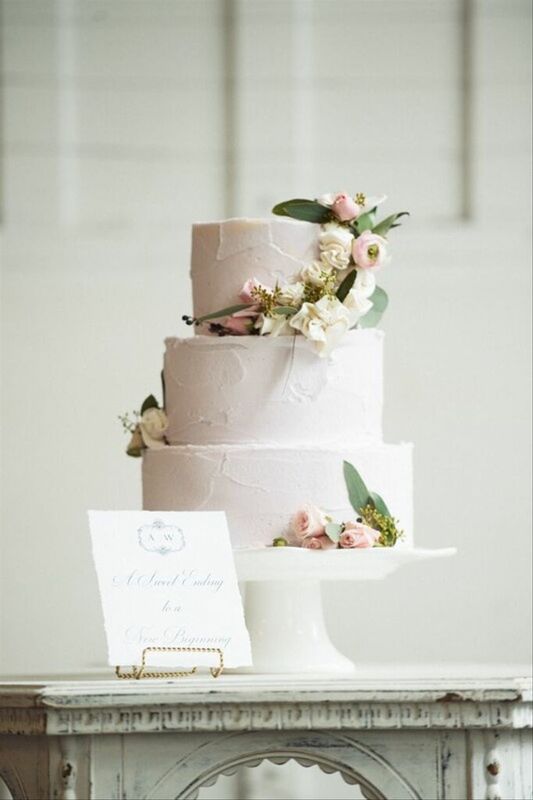 Only the most romantic of wedding cakes will do for your sign, and a soft blush buttercream confection is our pick. This style is subtle and understated, just the way you like it. A delicate scattering of rosebuds and greenery is a classic addition. 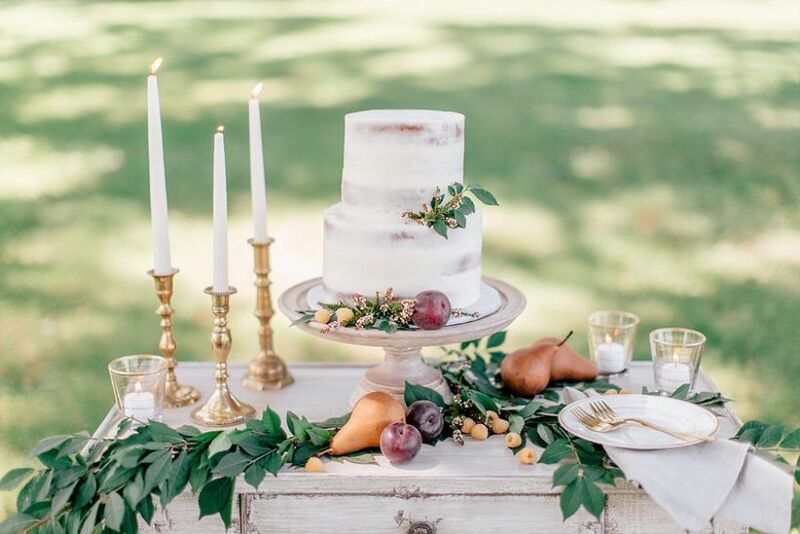 If this cake doesn’t already make you dream of your own fairytale, let us remind you that it’s similar to the trio of cakes served at Harry & Meghan’s royal wedding. 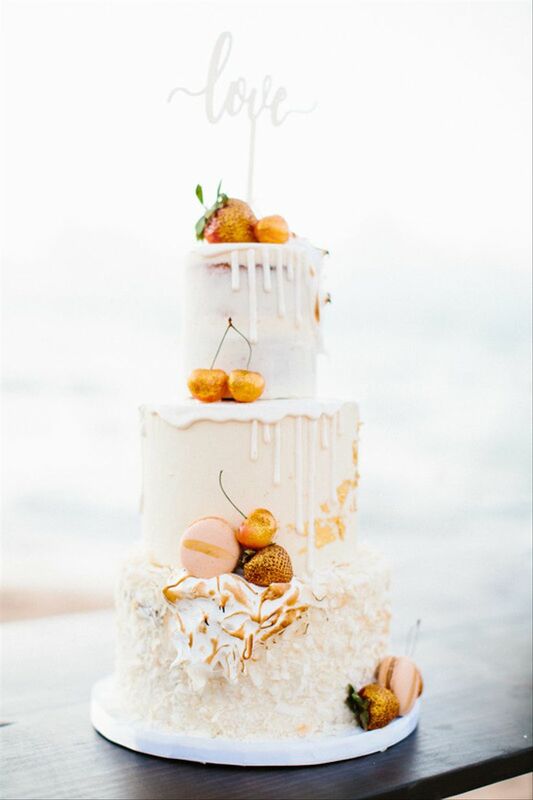 Leos are creative, upbeat, and all-around irresistible, which is why we’ve chosen this decadent drip cake as your ideal wedding dessert. This three-tiered confection is more than just a cake — it’s a mouthwatering smorgasbord with macarons, cherries, meringue frosting, and chocolate-covered strawberries. The gilded accents reflect your warm-hearted nature and sunny spirit. 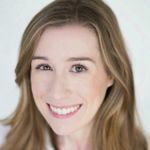 You have a knack for details and organization, but despite your perfectionist tendencies, there’s also a warm and charismatic side to your personality. 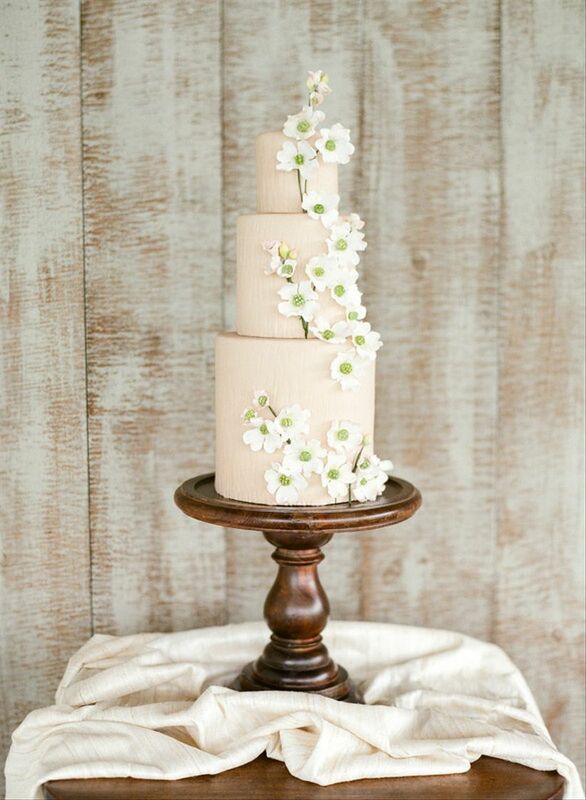 Impeccable fondant tiers in a neutral color speak to you as a level-headed earth sign, while the cascade of flowers adds a hint of whimsy. As the balancing scales of the zodiac, Libras can be found walking the line somewhere between being too uptight and too carefree. You like order and strategy but prefer to achieve it by creating peace and attempting to find a common ground with those around you, rather than coming across as controlling. 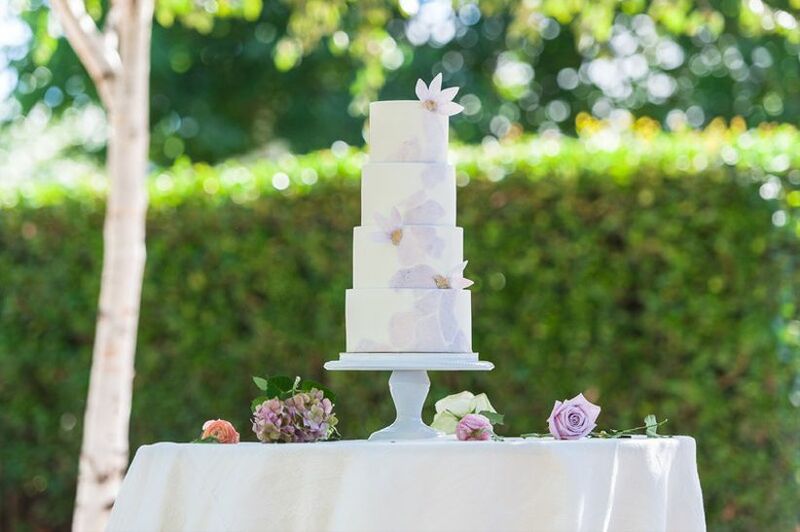 For your wedding cake, opt for a square fondant style, then add intricate floral appliqués to soften the clean lines and prevent them from feeling too harsh. The end result? A perfectly harmonious look. Scorpios have a reputation for being one of the darkest signs of the zodiac. While this typically refers to the Scorp’s secretive nature and obsessive qualities, we’re taking it literally and suggesting a dark chocolate wedding cake for anyone born under this sign. 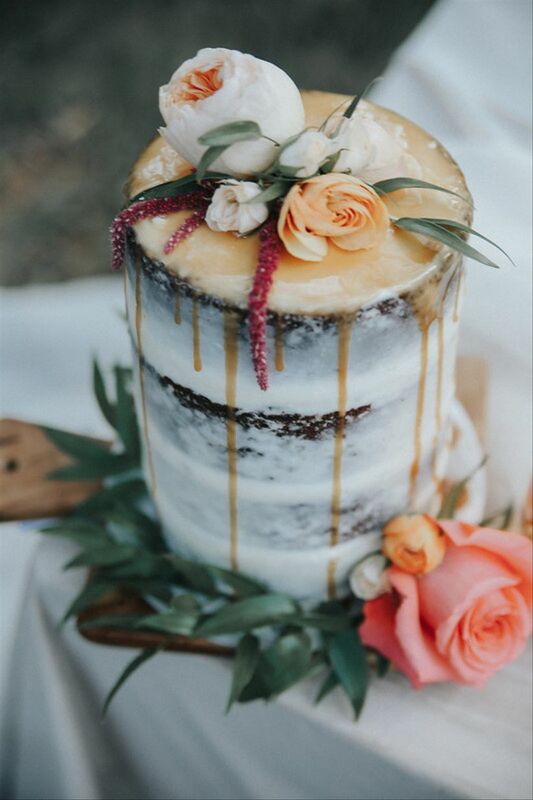 A semi-naked cake allows the chocolate to show through, while a caramel drip glaze and fresh flowers make this confection feel a little more uplifting. If you're a Sagittarius, you were born under one of the more adventurous astrological signs, and you’re not afraid to take the occasional risk or two. 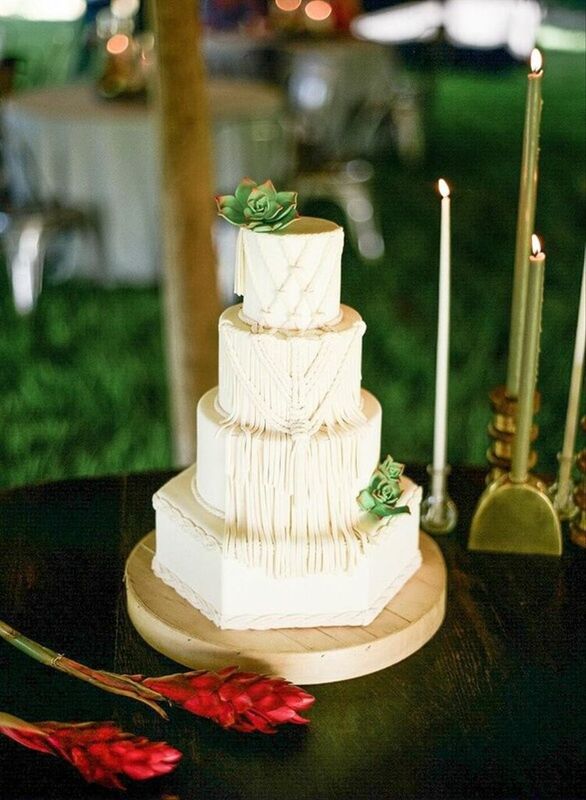 Surprise your guests with an ultra-trendy wedding cake featuring unexpected details, like macramé knots made entirely from fondant. A non-traditional, bohemian-inspired cake like this one appeals to your independent (and slightly rebellious) streak. As a stickler for top-notch quality, your wedding cake will be nothing short of a carefully constructed masterpiece, Capricorn. A simple cake with minimal details will suffice — there’s less that can go wrong, and you generally keep your distance from anything flashy and impractical, anyway. If you want to add embellishments (only after they meet your high standards, of course), try a plain ribbon and simple sprig of greenery. 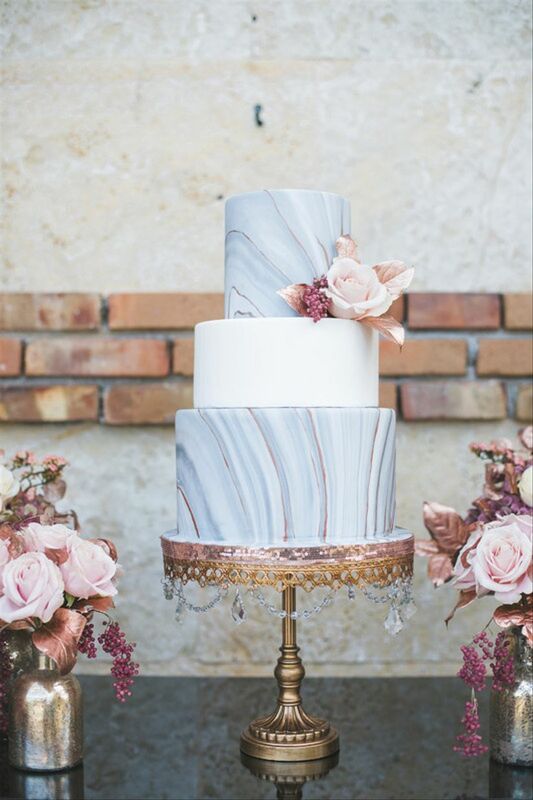 A marble wedding cake is our top pick for any Aquarius bride or groom. This playful and modern confection is befitting for your open-minded, optimistic personality. 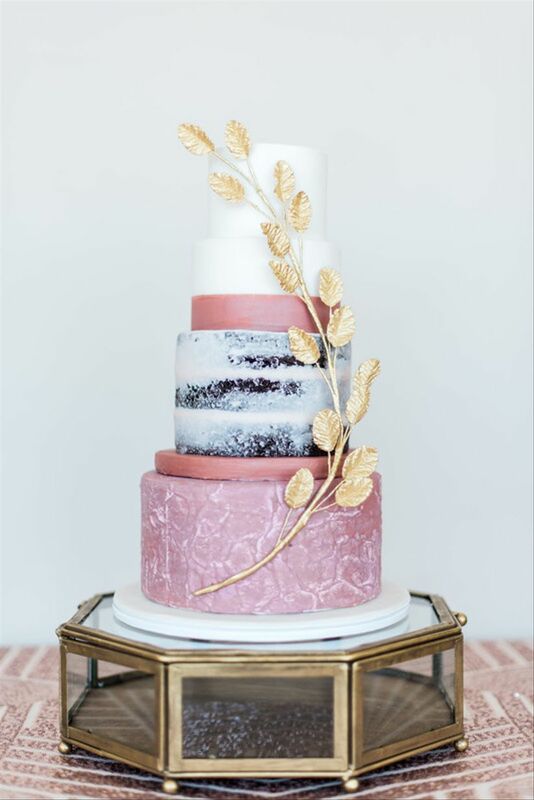 The swirling patterns on the fondant reflect your need to feel free and original, while rose gold details give the cake warmth and substance. Pisceans can tap into their artistic side with a watercolor-inspired wedding cake. A white buttercream cake is anything but boring when you add a bold blue streak, fragrant jasmine, and gorgeous hellebores.